It is also planning to launch how-to videos on Snapchat on Saturday, but it could delay those as well. ATLANTA: Home Depot planned an enhanced campaign push to celebrate its 15th year as presenting sponsor of ESPN’s College GameDay, but has delayed some PR activities due to Hurricane Harvey. The home-improvement retailer has gone "dark" in terms of posting content about GameDay on the brand’s corporate blog due to the storm, said Kathryn Emery, senior manager of external affairs and social media at Home Depot. "It was all supposed to be up already, but we are trying to be considerate of Harvey," added Stacey Tank, VP and chief communications officer. Home Depot has launched efforts to help those affected by Harvey, which has caused major flooding in Texas and Louisiana. The Home Depot Foundation pledged $1 million to support Hurricane Harvey disaster relief efforts, and it has given more than $400,000 in emergency grants to staffers who need a place to stay or financial relief. About 700 Home Depot trucks have traveled to Texas and Louisiana with supplies, Tank said. Other parts of Home Depot’s campaign to celebrate the 25th season of College GameDay have launched. The retailer started running a spot about the show, which will run each week from Thursday through Sunday during football season, on ESPN. It is also planning to launch how-to videos on Snapchat on Saturday, but it could delay those as well. Additional videos are also planned for Facebook and Twitter. "The videos include College GameDay hosts talking about DIY tailgating and how to grill and things like that," said Tank. "Leveraging the hosts took it to a different level of levity and fun [and provided] better integration overall with the platform." 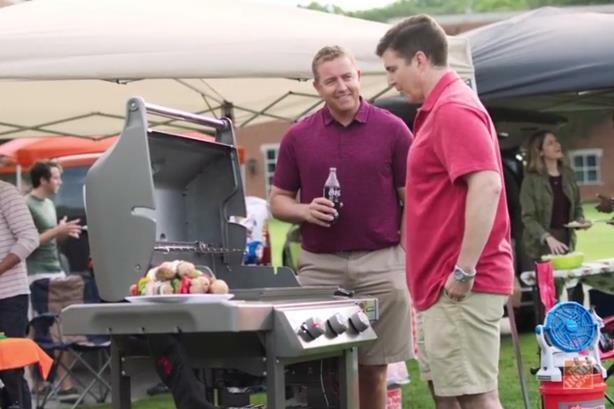 Each week, Home Depot will reward the most enthusiastic fans and families with a private tailgate catered by a private chef with access to a 17-foot trailer complete with a 60-inch television, a grill, and tailgating games. A tent will also be on-site each Friday and Saturday during the GameDay season, housing a TV and four iPad kiosks allowing fans to play a trivia game testing their college football knowledge. A weekly winner will receive two backstage passes to the GameDay broadcast on Saturday mornings. Other on-site features include giveaways of DIY starter kits. Tank noted that 70% of GameDay viewers are homeowners, aligned with Home Depot’s customer base and people who enjoy do-it-yourself projects. "If customers feel intimidated by doing a whole tile renovation or a bathroom upgrade, they can start with a more approachable DIY project, which is setting up their own tailgate," said Tank. Home Depot’s in-house team worked on PR elements of this campaign. Budget information was not disclosed.